Several times I find myself wanting to visualize something in 2D, but can’t bother to fire up OpenGL or other cumbersome API. 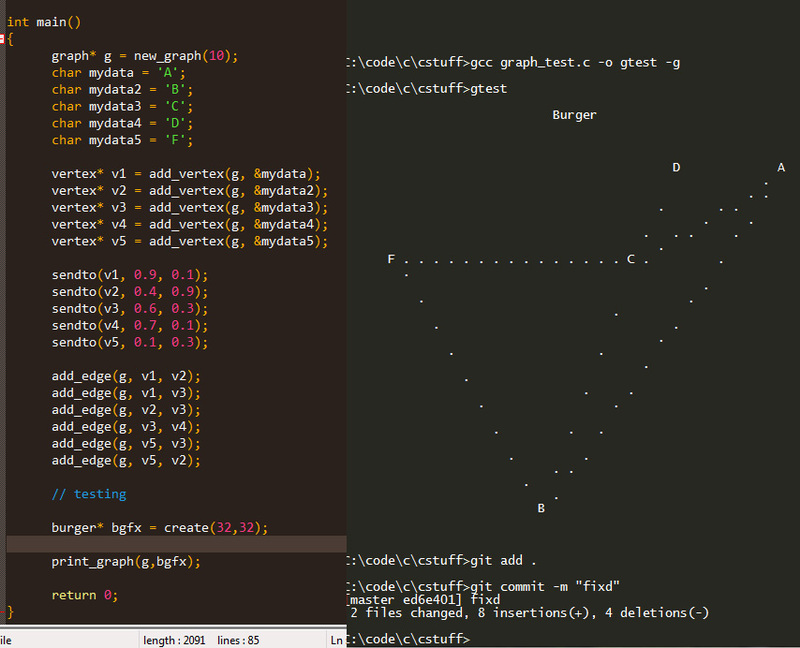 So I wrote a simple program which I called BurgerGFX, with 2 core functionalities: draw point and draw line. I find this to be quite enough for simple applications such as viewing a graph. Setting up the drawing canvas, which I call burger, is simple: call create(width, height), which returns a pointer to the burger. Then simply call the draws, prints and cleans as needed. Here’s the code for your enjoyment. Congratulations for putting together these pages. Hi Rodrigo, thanks for your comment.